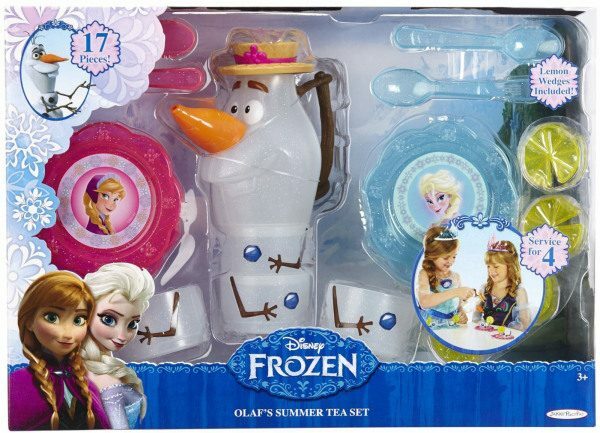 Olaf's Summer Tea Set Only $12.99 + FREE Super Saver Shipping! You are here: Home / Great Deals / Amazon Deals / Olaf’s Summer Tea Set Only $12.99 + FREE Super Saver Shipping! Olaf’s Summer Tea Set Only $12.99 + FREE Super Saver Shipping! Here’s a great gift idea for your little Frozen fan! Grab the Olaf’s Summer Tea Set for just $12.99 + FREE shipping with Super Saver Shipping! This is the lowest price we’ve seen this at! My daughter got this tea set for her birthday, and she LOVES it! We have tea parties with it all the time!